Insects that sting cause painful wounds. The stings hurt, swell and sometimes trigger allergic reactions. Some stinging insects nest in the ground. Walking over their nests can disturb the insects, causing multiple stings. Stinging insects that nest in the ground spend time on the ground around the nest as well. This makes stepping on the insects more likely. Bumblebees are fuzzy with black and yellow stripes. Bumblebee nests are different from honeybee nests in that they are in the ground, smaller and colonized for only one year. They nest underground, in discarded trash items on the ground or in dry grass. The largest bumblebee nests are home to roughly 2,000 bees. 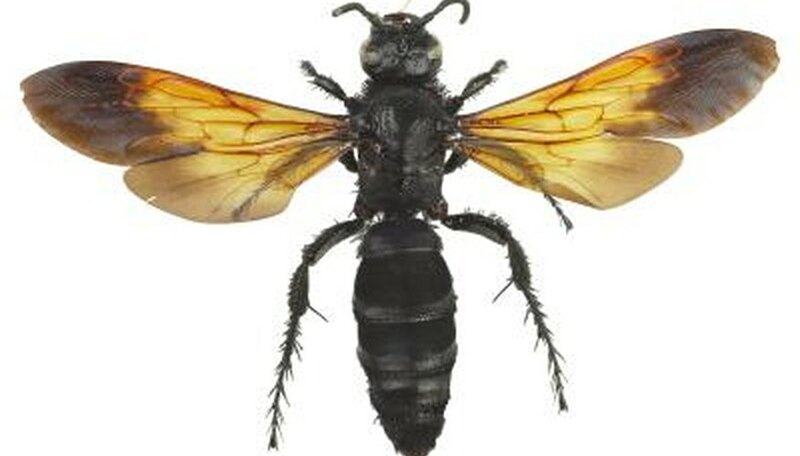 Only females of the species possess stingers. They will sting humans to protect their nests. Yellow jackets are wasps that have either yellow and black stripes or yellow and white stripes. 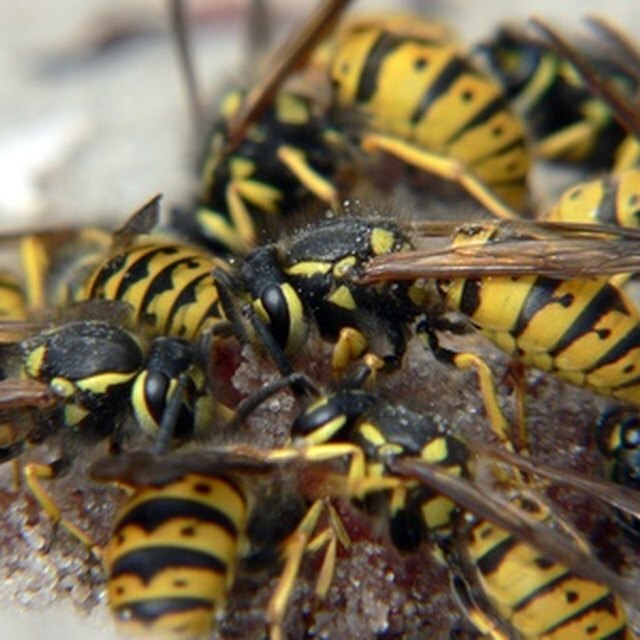 These wasps build their nests in the ground, in the walls and attics of homes or in hollow logs. The largest yellow jacket nests can hold up to 5,000 wasps. They place guard wasps at the entrance to their nests and defend the colony aggressively. Once yellow jackets sting a person, other wasps in the colony start stinging as well. One yellow jacket can continue to sting a person for as long as it likes, so an attack by a whole colony can result in severe wounds. Fire ants are cousins to bees and wasps. These ants are aggressive. They take hold of the skin with their mandibles and then deliver up to eight stings. The stings result in burning pain. Hundreds of thousands of fire ants can inhabit a single underground colony. Stepping on the large mound of such a colony can result in countless painful stings. People who are allergic to wasps and bees can also be allergic to fire ants. Cicada killers are wasps. They nest in sandy, dry earth, leaving a mound of excavated soil around the entrance. Cicada killers are not as aggressive to humans as yellow jackets, but mating males of the species will behave aggressively if people disturb them. However, males do not have stingers. Females have stingers and nest alone. Cicada killers got their name because cicadas are their favorite food. Females will hunt cicadas and store them in their nests. Barclay, Shelly. "Stinging Insects That Nest in the Ground." Sciencing, https://sciencing.com/stinging-insects-nest-ground-8427142.html. 24 April 2017.